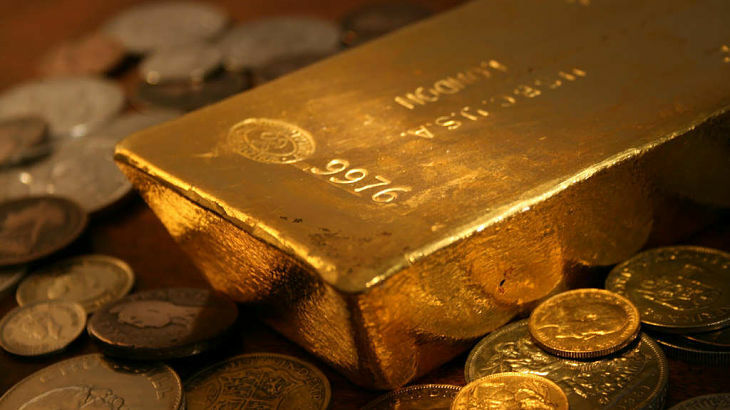 Gold prices and commodity-related exchange traded funds retreated to a 10-month low after traders shunned the hard asset on prospects for further interest-rate hikes next year in the wake of the Federal Open Market Committee’s decision. On Thursday, the SPDR Gold Shares (NYSEArca: GLD), iShares Gold Trust (NYSEArca: IAU) and ETFS Physical Swiss Gold Shares (NYSEArca: SGOL) dropped 1.0% as Comex gold futures declined 2.9% to $1,129.9 per ounce. Over the past three months, the gold ETFs have decreased about 13.7%. On the other hand, inverse or bearish gold and gold miner ETFs have been shining as traders short the asset class. For example, the ProShares UltraShort Gold (NYSEArca: GLL) provides a two times inverse or -200% daily performance of gold bullion. Alternatively, ETN options include the DB Gold Double Short ETN (NYSEArca: DZZ), which tries to generate the twice inverse or -200% return of the daily performance of gold; DB Gold Short ETN (NYSEArca: DGZ), which tries to reflect the inverse of gold price movements; and VelocityShares 3x Inverse Gold ETN (NYSEArca: DGLD), which tries to reflect the performance of three times the inverse or -300% daily performance. On Thursday, GLL was up 2.1%, DZZ was up 2.2%, DGZ was up 1.4% and DGLD was up 3.8%. Investors bet against gold miners with bearish options like the Direxion Daily Gold Miners Bear 3X Shares (NYSEArca: DUST), the Direxion Daily Junior Gold Miners Index Bear 3X Shares (NYSEArca: JDST) and ProShares UltraShort Gold Miners (NYSEArca: GDXS). The Direxion options take the -300% exposure to large miners and junior miners, respectively, while the ProShares option take the -200% exposure to large miners and junior miners, respectively. On Thursday, Dust was up 13.4%, was up 14.4% and was up 9.1%. The inverse gold miner ETFs also broke back above their long-term, 200-day simple moving averages. Gold is losing its luster after the Fed raised the federal funds target rate by a quarter percentage point on Wednesday to between 0.50% and 0.75%. While many anticipate the Fed to hike rates in December, officials unexpectedly revealed plans to hike rates three more times in 2017.